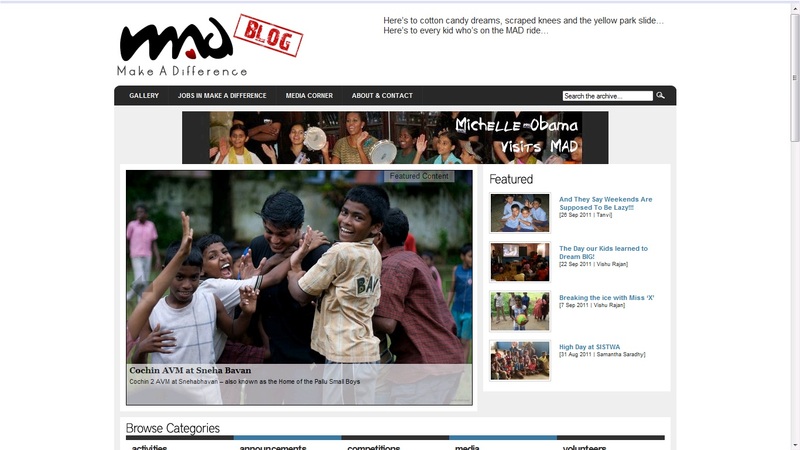 Make A Difference (MAD) is a youth volunteer network that works with underprivileged children in India. 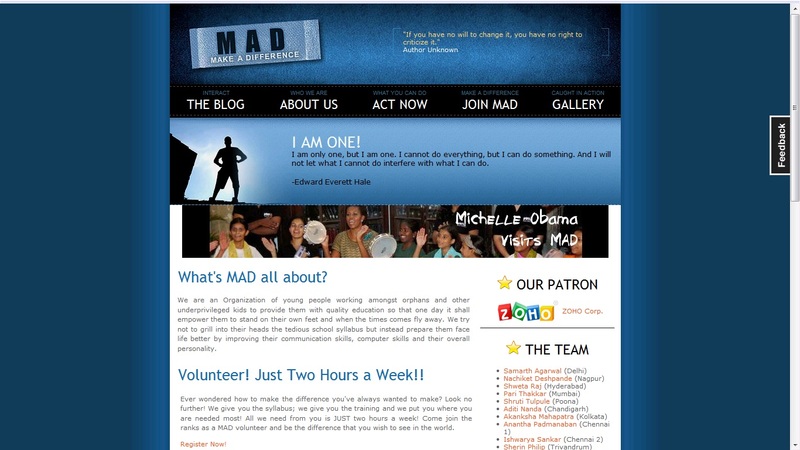 MAD tries to empower children in orphanages, street shelters and poor homes with English, made possible by its education partner: Cambridge University Press. The English project takes learners from starter to intermediate level using Cambridge English for Schools. Right now, close to a 1000 Make A Difference volunteers teach close to 3500 kids in the 19 Indian cities of Bengaluru, Bhopal, Chandigarh, Chennai, Cochin, Coimbatore, Delhi, Gwalior, Hyderabad, Kolkata, Lucknow, Mangalore, Mumbai, Nagpur, Pune, Thiruvananthapuram, Vellore, Vijayawada and Vishakapatnam. Other MAD Projects include: Life Skills Project (improving confidence and creativity in children through camps and special sessions), Career Awareness (widening horizons and helping children dream by means of talks by professionals and field visits), Library project (cultivating the art of reading by establishing, maintaining libraries and actively engaging children by means of books) and In(fra)spire (which aims at providing better infrastructure to the children that MAD engages). 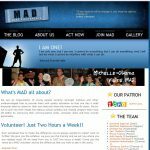 MAD's projects aim at holistically developing children growing up in environments which are not able to give them the education, or the experiences, or the resources that 'normal' children have while growing up. "Children are the world's most valuable resource and its best hope for the future." At MAD, we couldn't agree more!